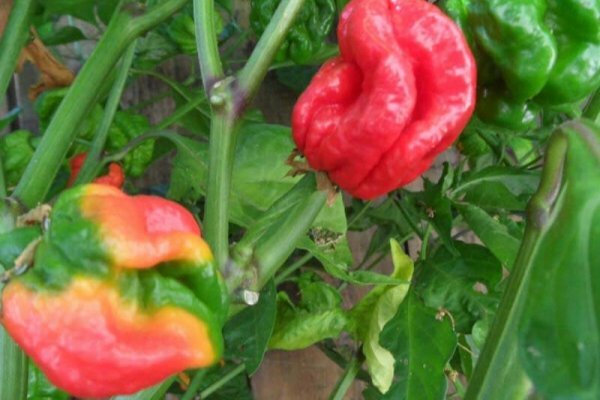 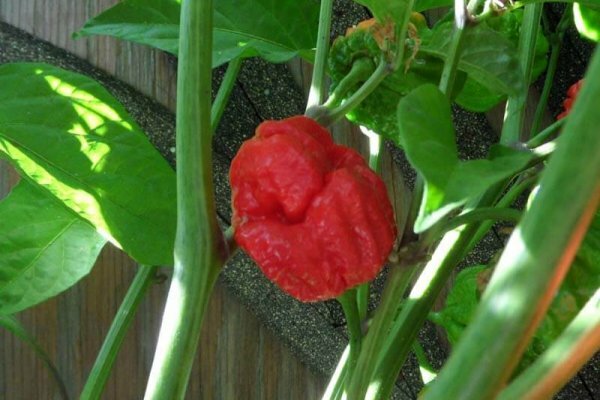 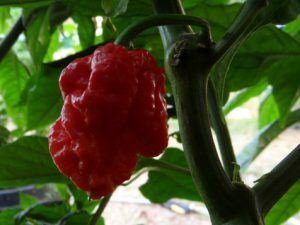 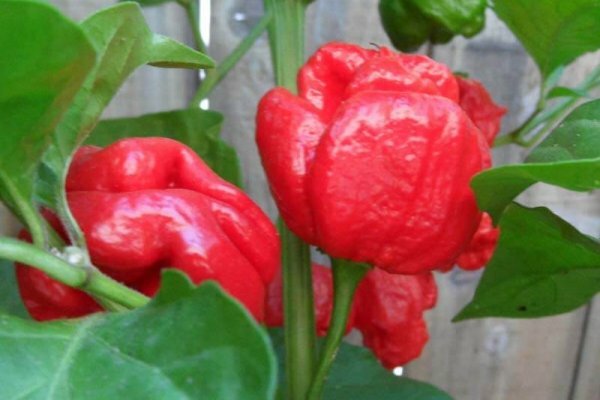 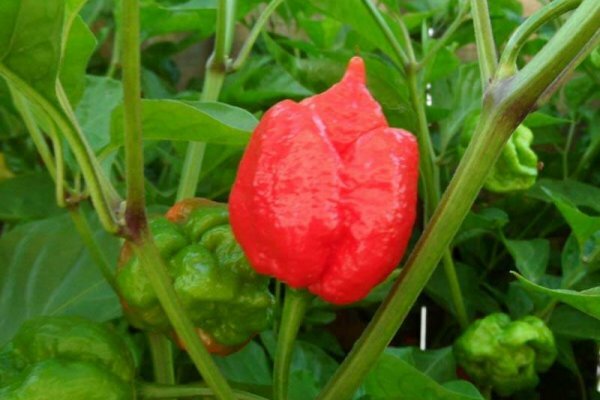 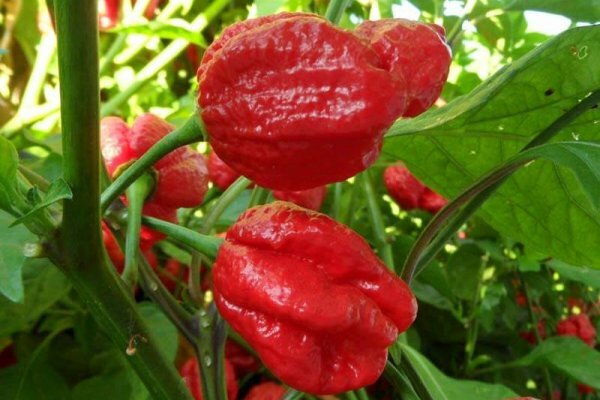 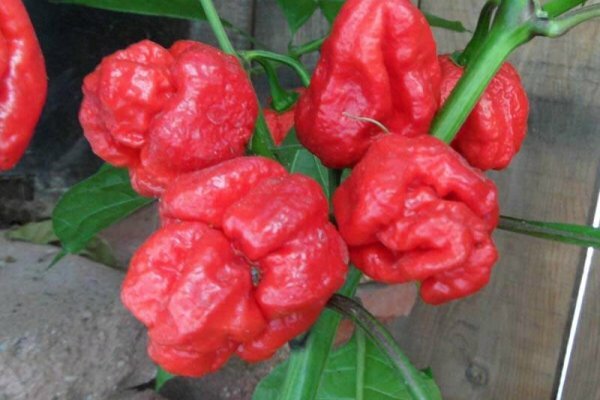 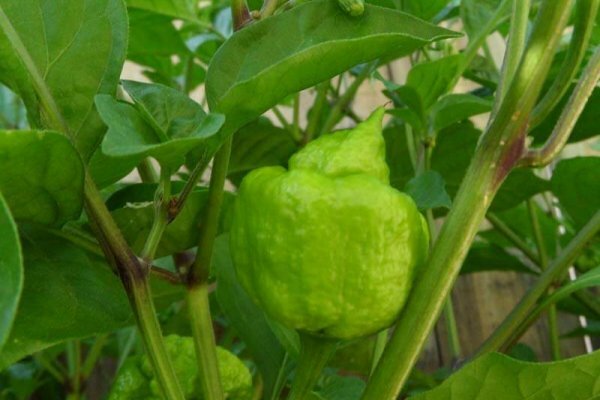 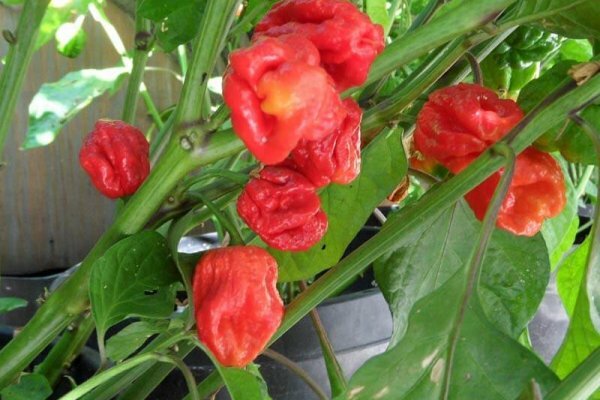 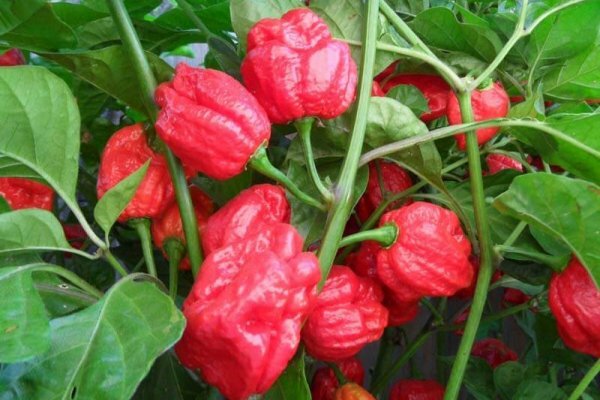 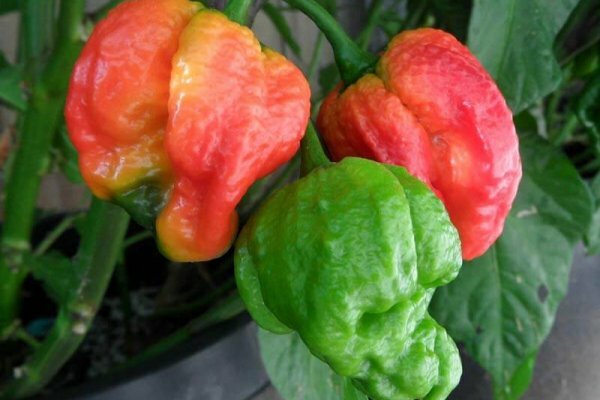 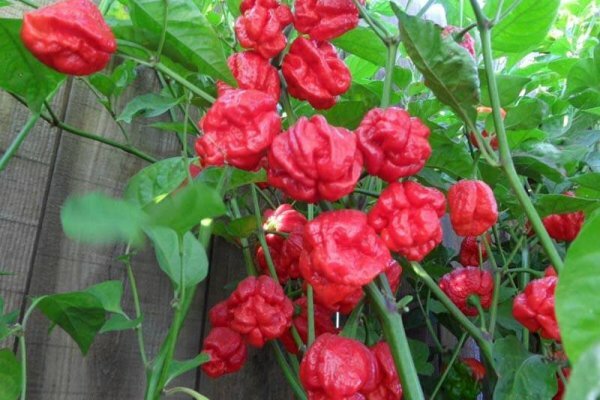 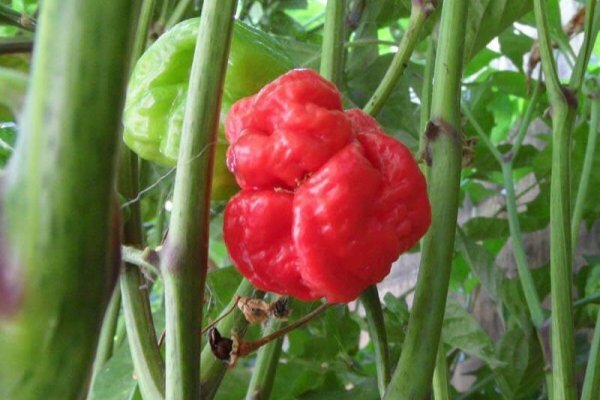 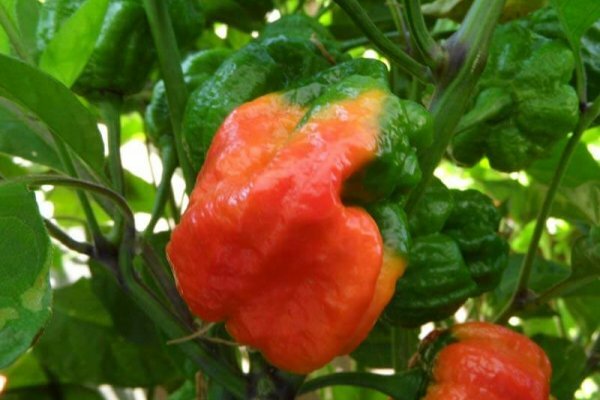 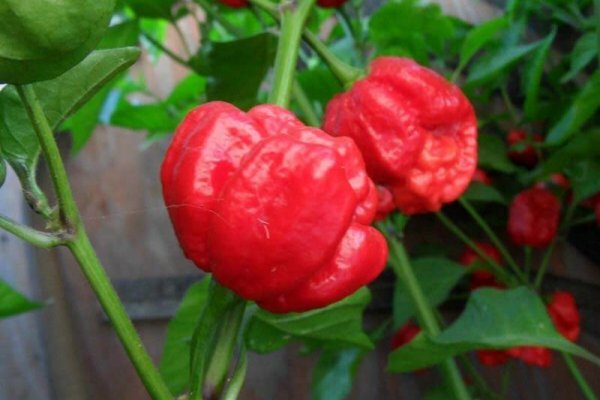 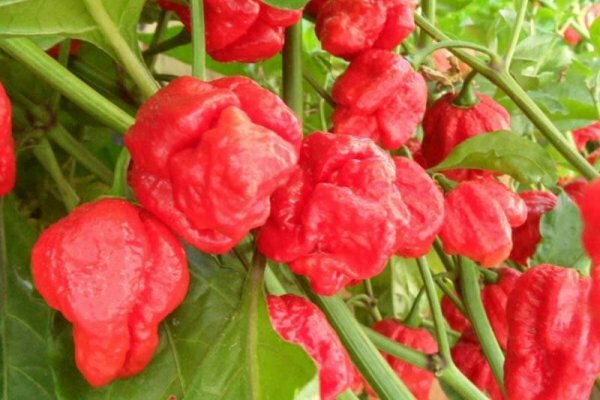 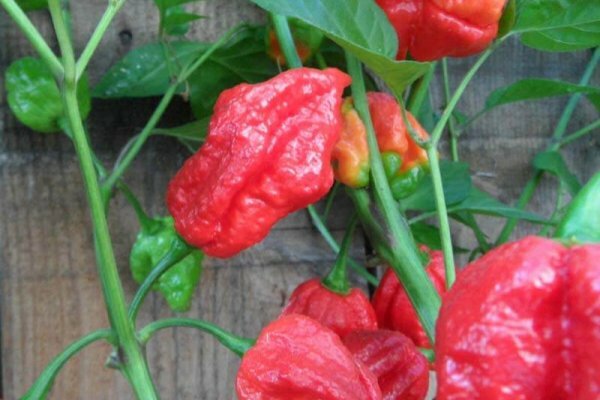 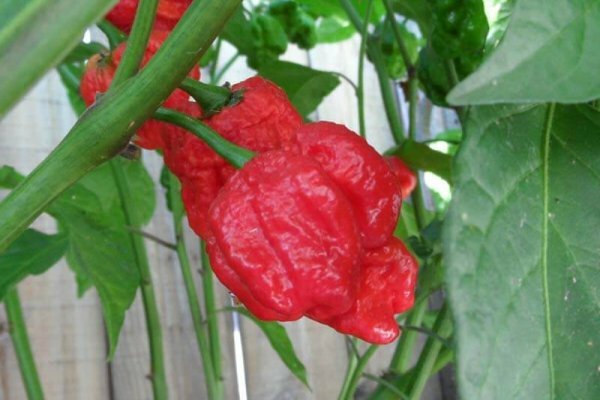 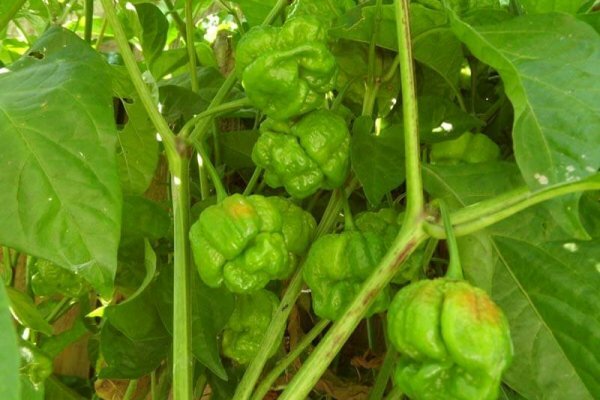 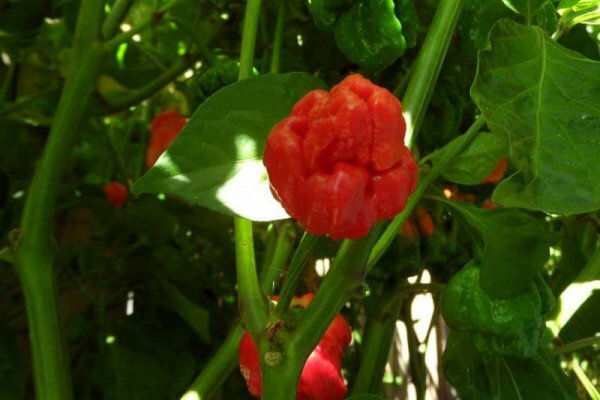 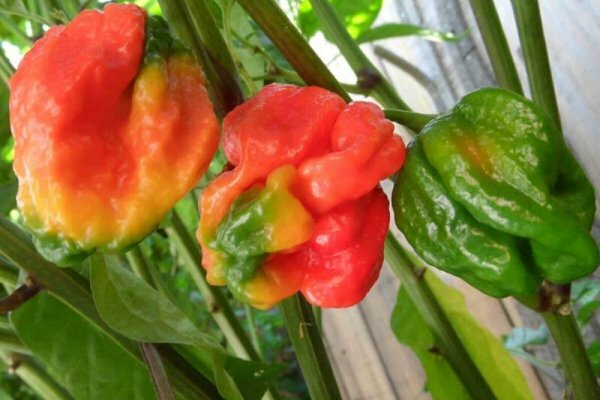 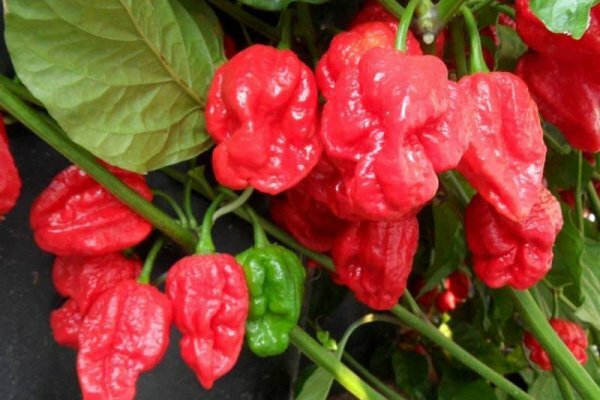 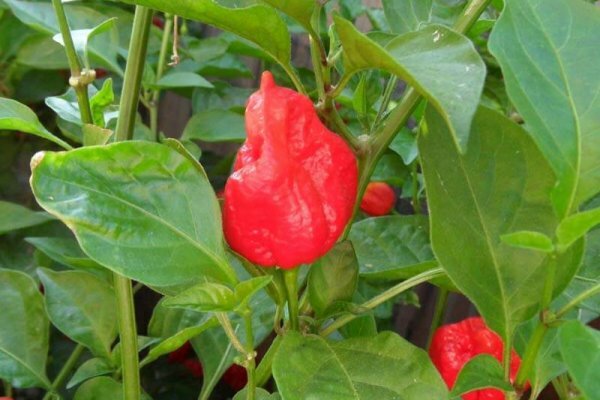 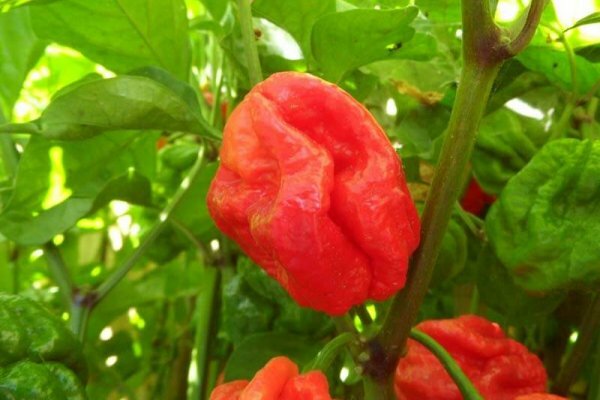 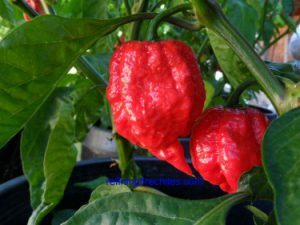 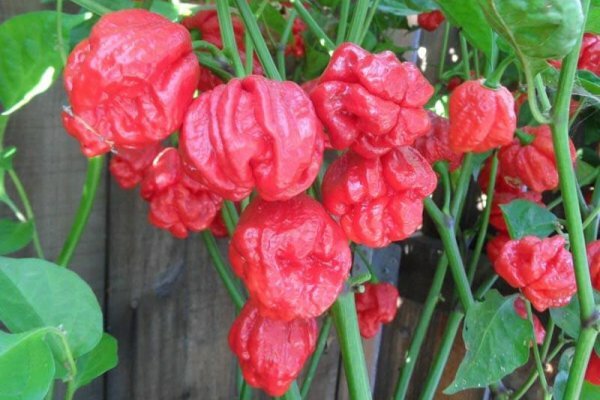 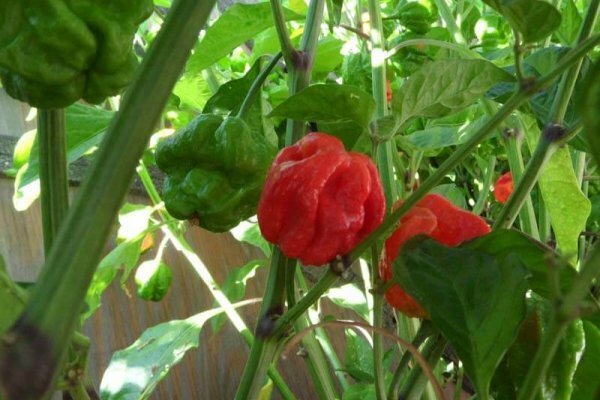 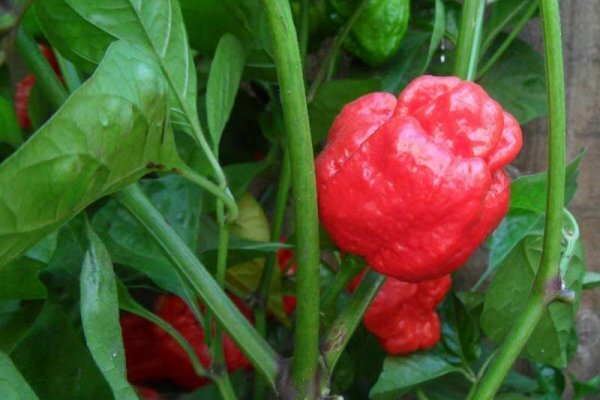 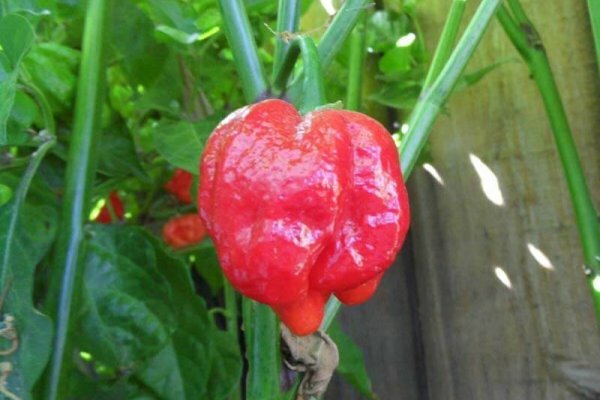 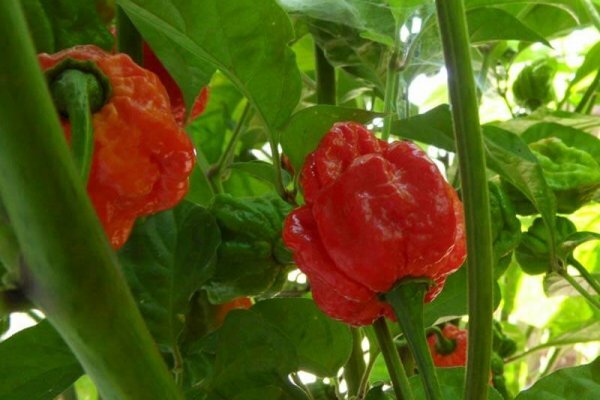 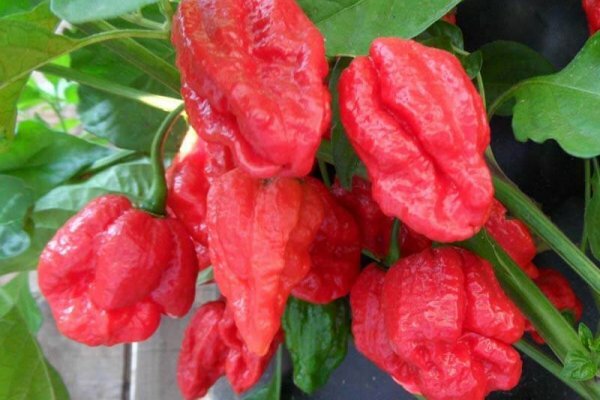 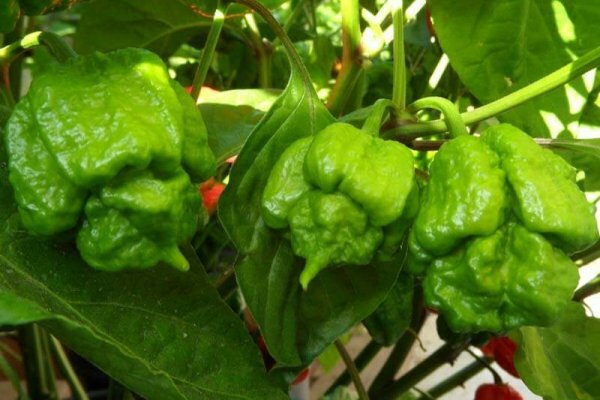 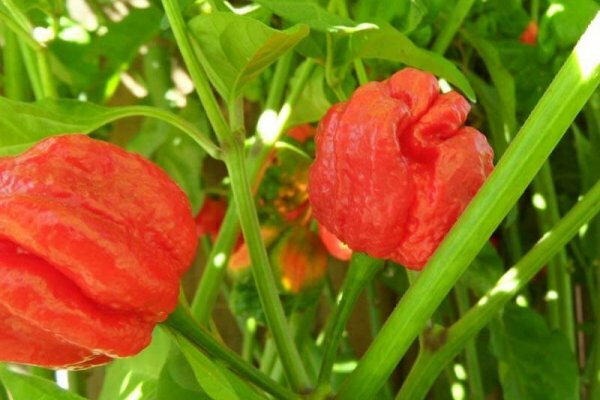 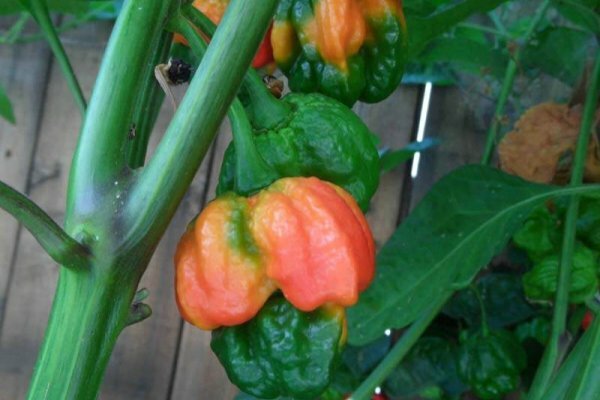 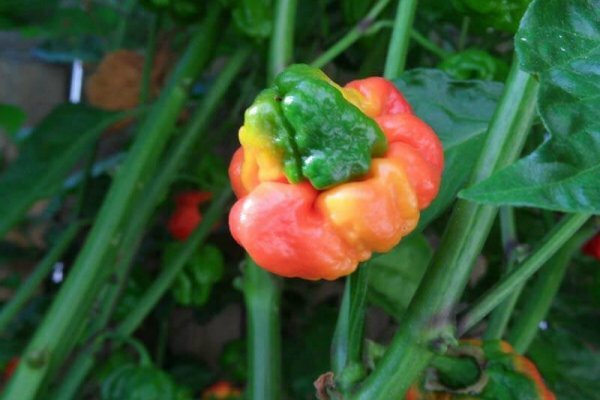 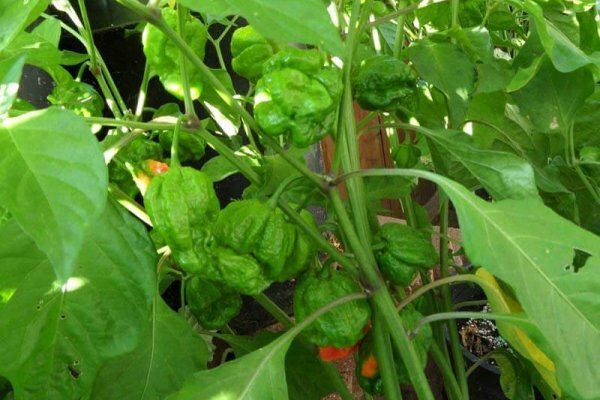 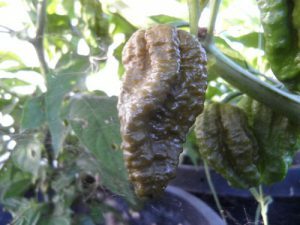 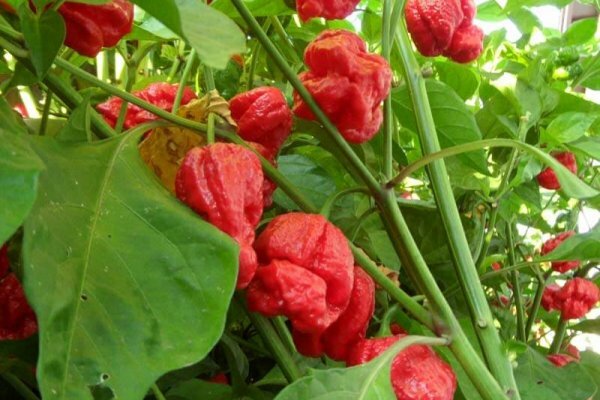 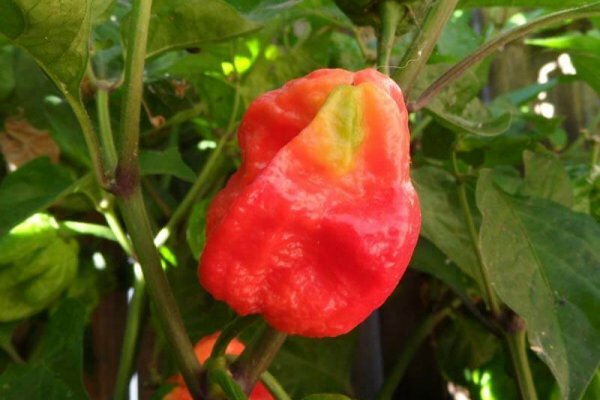 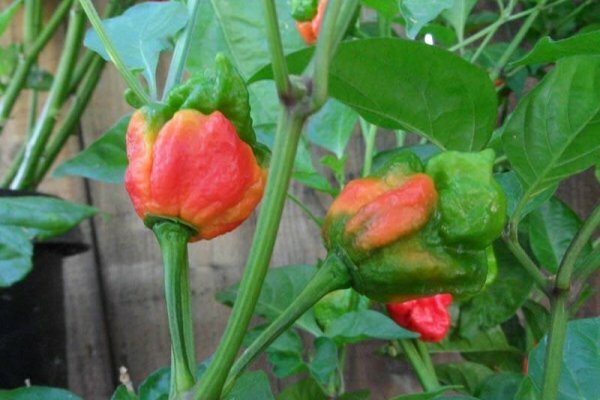 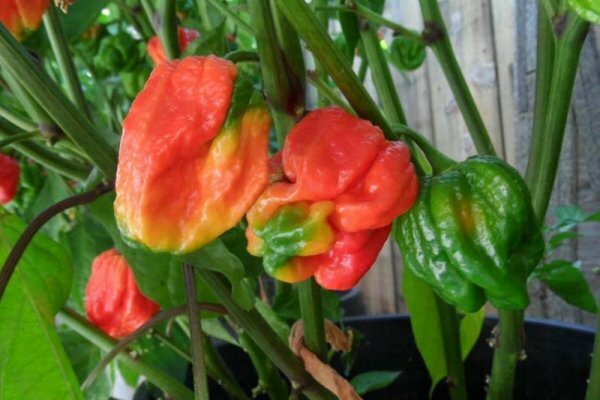 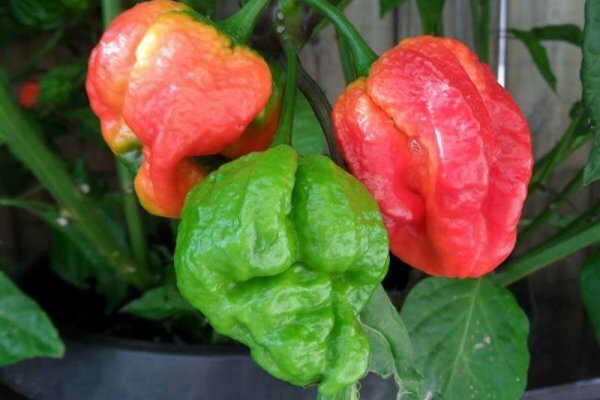 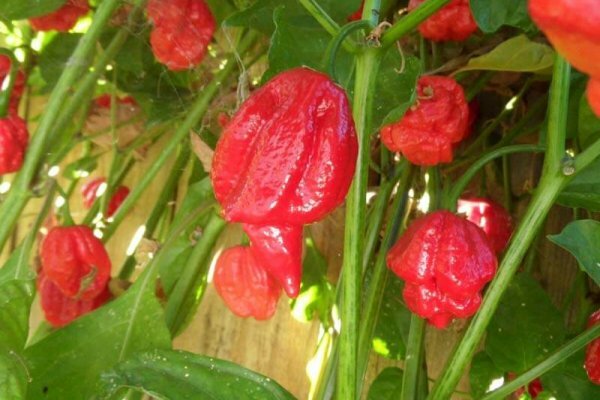 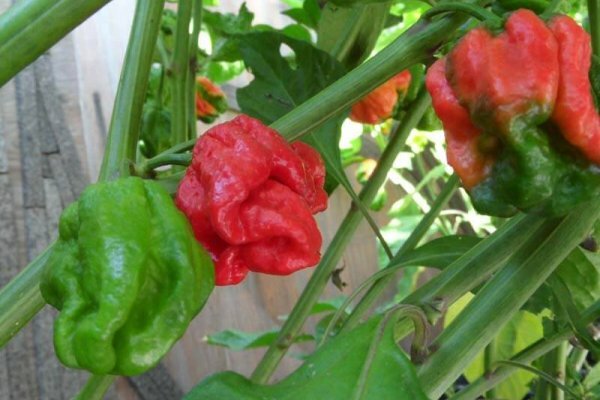 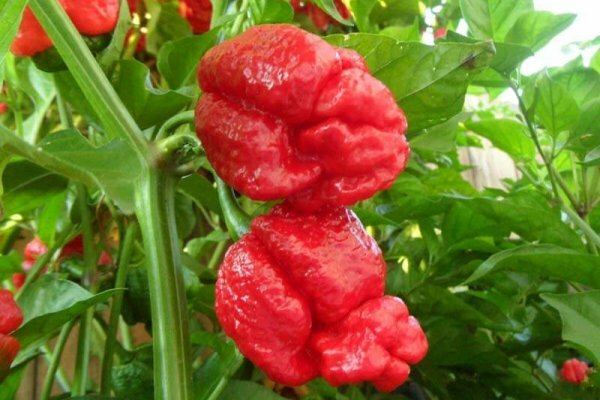 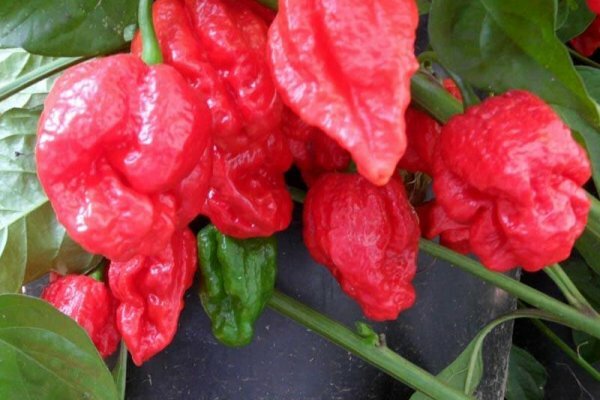 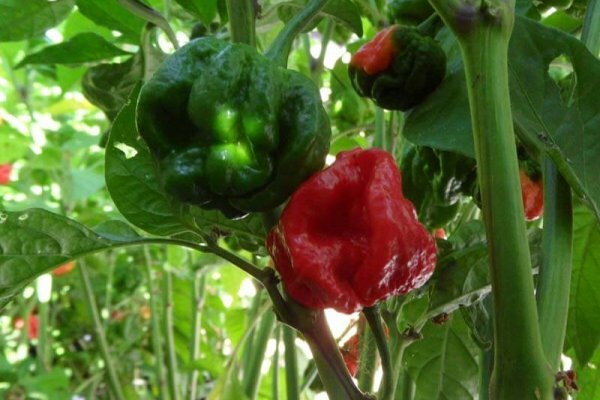 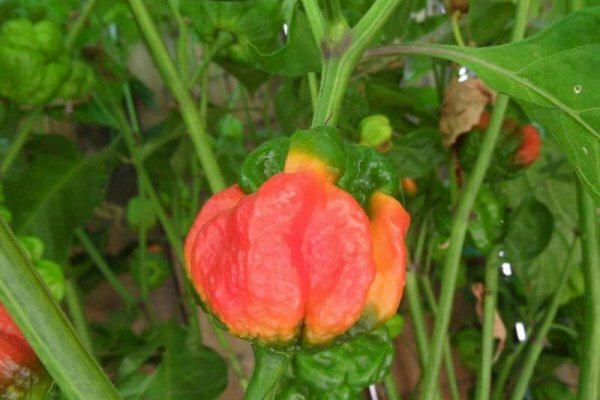 The Trinidad Sunrise Scorpion comes from Trinidad. 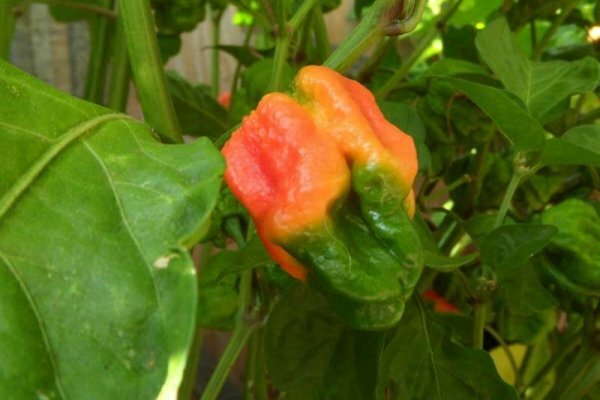 Called Sunrise because it grows with the chile pod pointing up instead of down! 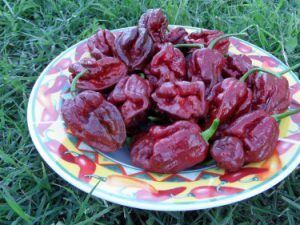 Another chile grower hobbyist from Trinidad named Sarah is responsible for getting these seeds to other hobbyists. 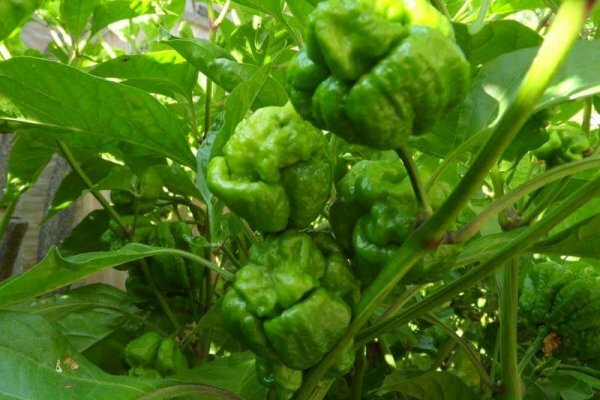 Sarah also is the person who shared the Trinidad Yellow 7 Pot and Trinidad 7 Pot SR strain with many of us. 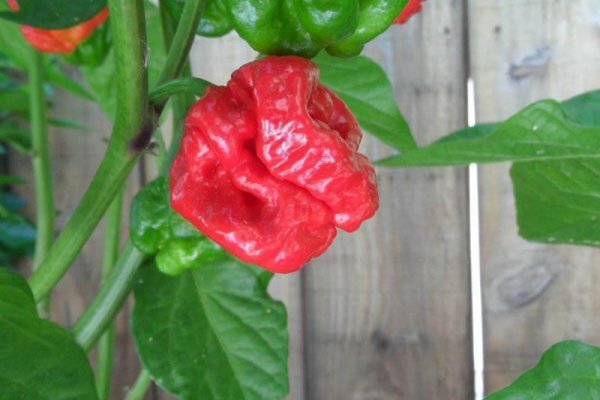 SR stands for Sarah by the way. 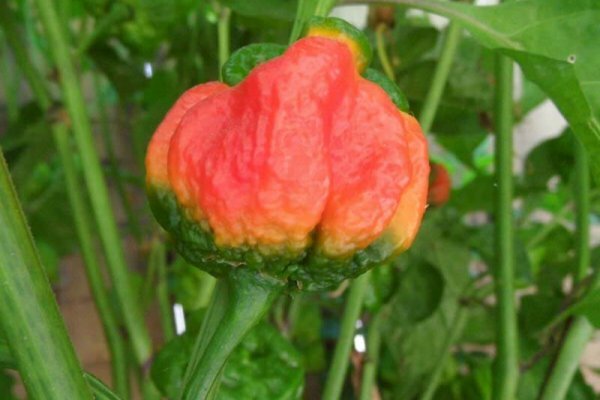 Her web name is Trinnie Hottie. 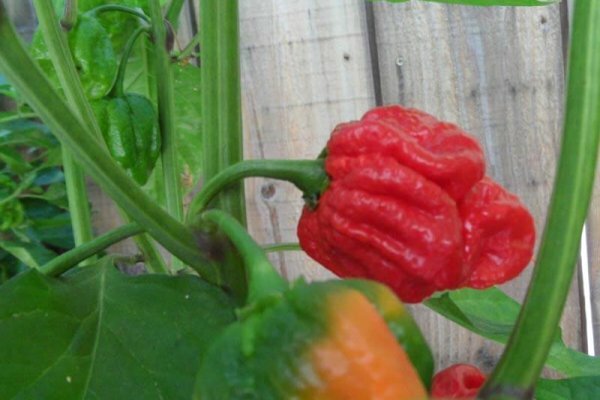 This Scorpion is delicious and ranges between 700,000-800,000 Scoville units. 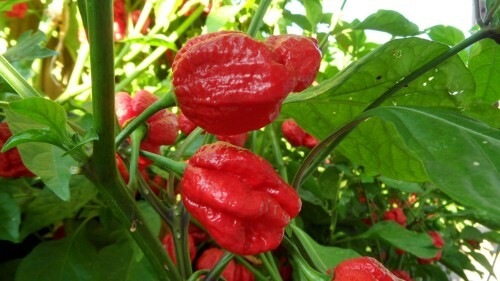 This chile plant is the most productive producer of all the Scorpion family.